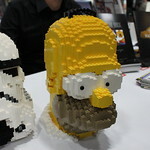 Day 3 of the 2013 San Diego Comic Con was a day filled with LEGO related activities. 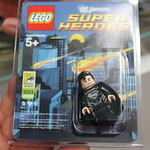 First was the early wait for the raffle for the LEGO DC Universe Super Heroes SDCC 2013 Exclusive Black Suit Superman. 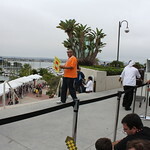 The line became so long that it went down from the stairs and back into the building. 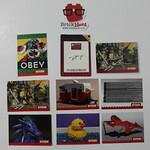 There were only 200 given away today and the small chance of getting one became even smaller. 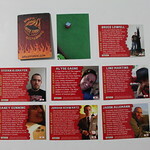 At the end, I didn’t win. 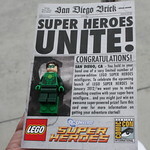 While waiting in line though, I did meet a nice older couple who were AFOLs and they had with them a SDCC 2012 Green Lantern minifigure in case someone wanted to trade the Black Suit Superman with them since they are huge Superman fans. 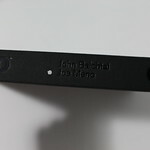 If you’re reading this Eric, I hope you did find one. 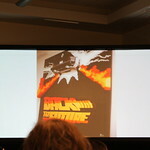 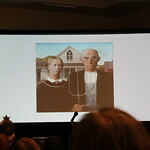 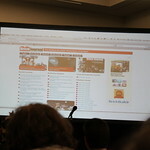 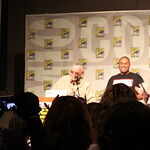 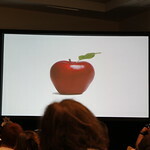 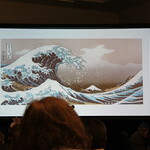 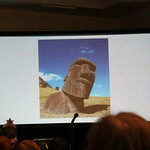 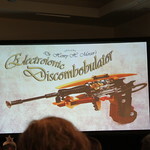 There were also a few surprises during the panel. 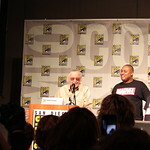 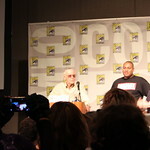 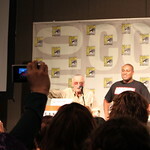 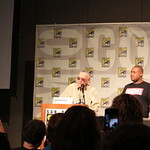 The one and only Mr. Stan Lee himself made a very surprise appearance to announce that a Stan Lee character will also be playable in the game! 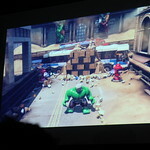 I took some pictures of him in LEGO form as well as some of his moves including web slinging like Spider-Man and changing into the Hulk and smashing things. 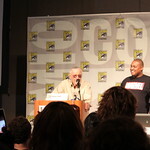 The funny thing about that was that Stan still had his head but the body was the Hulk. 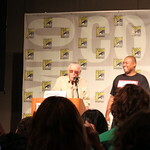 After that announcement, Stan made his trademark motto: “Excelsior!” and leaves with a standing ovation. 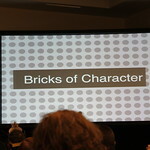 During the Q&A’s, a young boy asked if Dr. 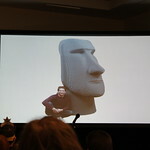 Strange would be in the game and Arthur Parsons of TT Games secretly nodded yes. 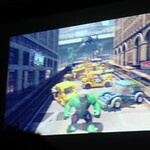 There will also be no online co-op mode for LEGO Marvel Super Heroes because the developers wanted people to play together locally. 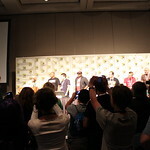 In a panel full of surprises, TQ Jefferson, Vice President of Games Production, asked his now fiancee to marry him. 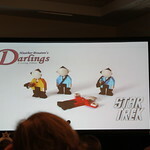 She said yes and and there was another standing ovation. 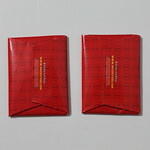 We wish them all the best in their new lives together. 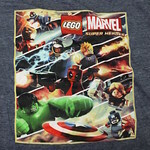 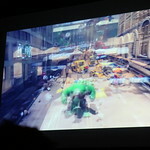 After the panel, free LEGO Marvel Super Heroes t-shirts were given out to attendees as well as a Willy Wonka style giveaway happened as well. 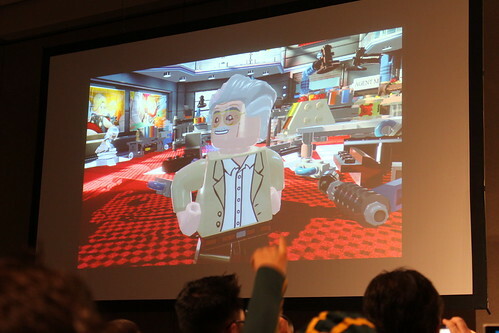 There were 10 golden tickets under the chairs in the room and whoever found one got an autographed Stan Lee LEGO Marvel Super Heroes video game poster. 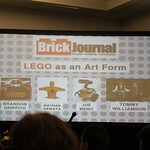 Over at the Warner Bros. panel, it was announced that Channing Tatum will be voicing Superman in The LEGO Movie. 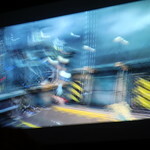 Jonah Hill will be doing the voice for the Green Lantern, and Cobie Smulders from the Avengers movie will voice Wonder Woman. 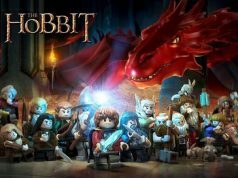 They will join an already star-studded cast that already features Will Arnett, Elizabeth Banks, Morgan Freeman, Liam Neeson, Alison Brie, Will Ferrell, Nick Offerman and Charlie Day. 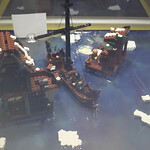 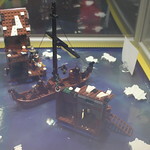 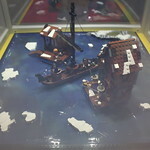 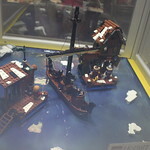 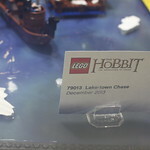 At the LEGO booth, the newest Hobbit set was unveiled the Lake-Town Chase (79013) which was announced on MTV Geek yesterday. 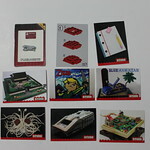 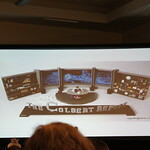 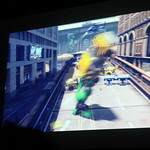 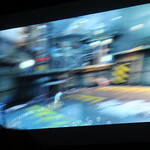 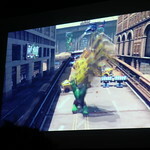 There are images of the set in the pictures below. 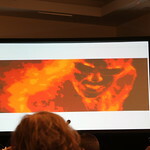 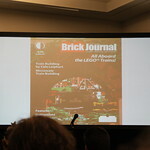 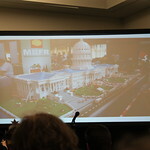 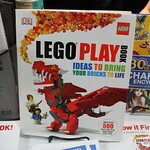 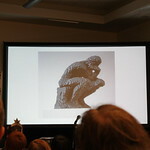 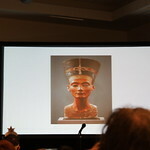 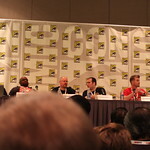 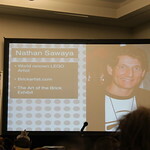 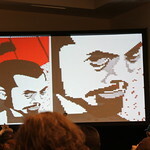 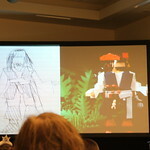 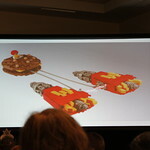 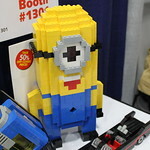 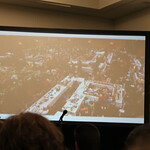 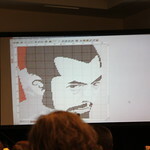 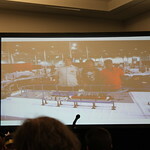 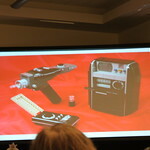 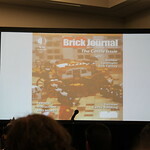 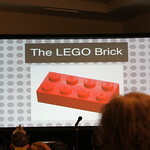 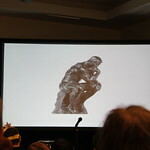 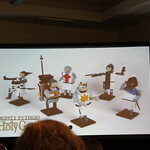 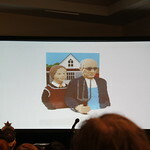 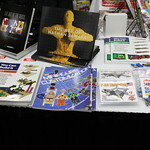 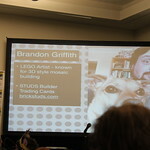 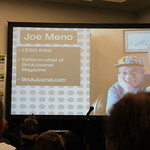 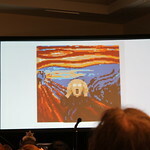 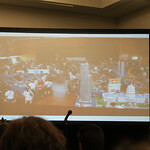 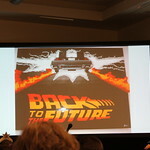 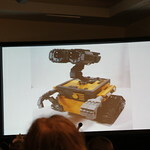 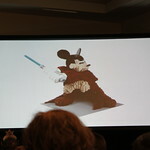 At the end of the day, BrickJournal had their own panel, LEGO as an Art Form. 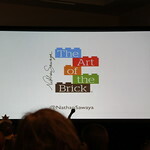 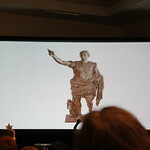 Guest speakers were Brandon Griffith, Joe Meno, famous brick artist Nathan Sawaya, and BrickNerd’s Tommy Williamson. 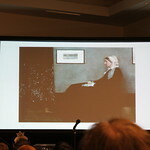 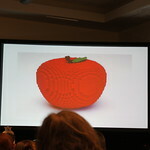 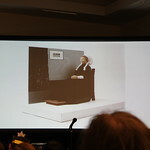 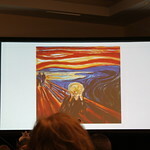 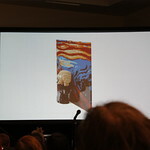 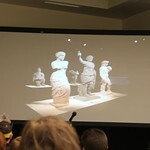 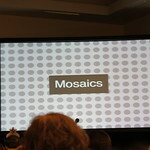 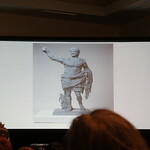 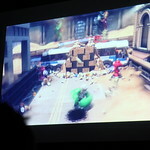 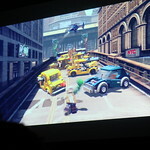 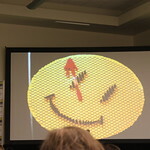 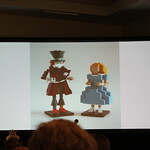 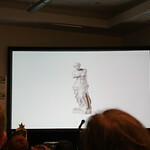 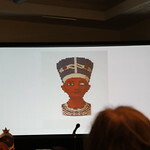 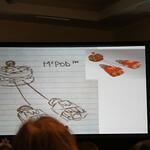 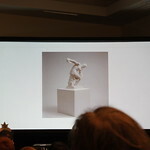 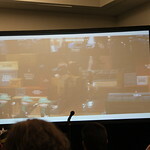 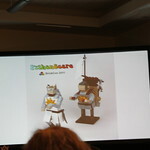 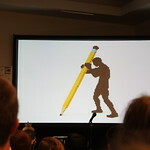 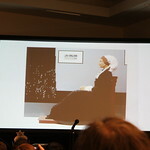 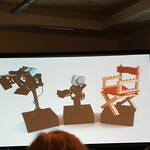 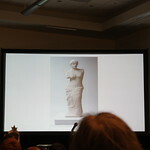 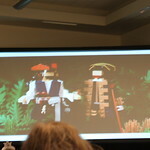 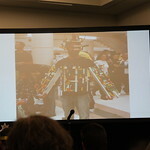 The panel discussed how LEGO has influenced their lives and their arts of work. 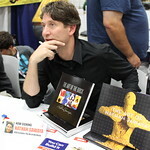 After the panel, the group went to the TwoMorrows Publishing’s booth in the exhibit hall where Joe and Nathan was there for signings. 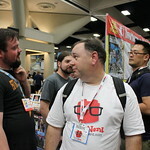 I got to finally meet these great people in person and it was pretty exciting. 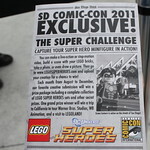 Yes, I’m a small-time LEGO blogger but I’m also still a LEGO fan in general and meeting all the guys there was one of my best moments in San Diego Comic Con. 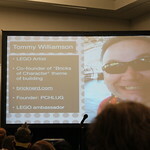 Ok maybe getting the Spider-Man minifigure was my favorite moment. 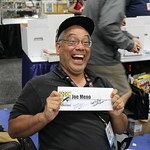 Just kidding Joe! 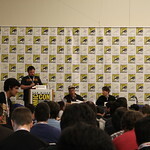 But seriously, it really meant a lot because they’re the people that I look up to and to meet them in person was an awesome experience. 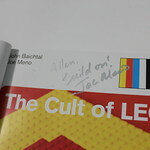 I even managed to get my copy of The Cult of LEGO signed by Joe as well as Nathan so that was cool too. 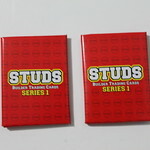 I also managed to get a couple of the first packs of STUDS Builder Trading Cards from Brandon and Joe. 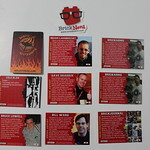 I’ll have a full review of those later but as you can see from one of the pictures below, I managed to pull one of the 25 autographed cards of Will Chapman of BrickArms. 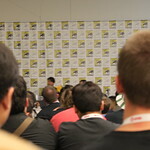 Overall, it was a great day today at SDCC 2013. 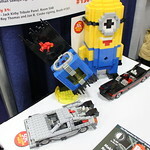 In addition to all the LEGO stuff I got to see and do, I had a good time walking the exhibit hall and seeing all the stuff that went on there. 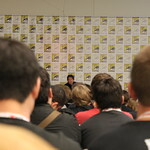 Tomorrow will be the last day of Comic Con and it’ll be a good finish to what is a very tiring convention. 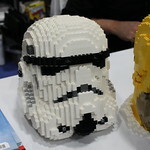 Below are all the LEGO related pictures of the day and be warned, there are a ton of them after the jump.